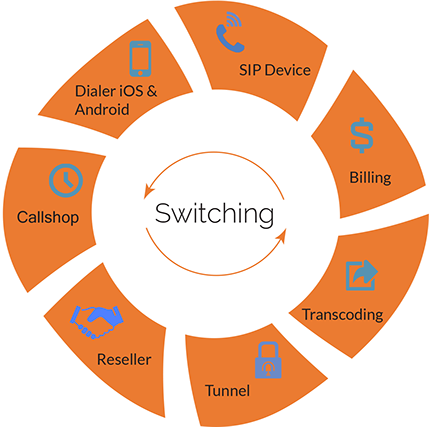 OneSwitch all-in-one solution, is a complete suite of SIP network elements for VOIP carriers on a single platform. This platform enables service providers to build scalable and reliable VOIP services which can range from small and single server deployments to cluster solutions handling thousands of concurrent sessions. OneSwitch also comprises a set of functions encapsulated in the term Business Support System/ Operation Support System (BSS/OSS). Their role is to provide users billing, charging, provisioning, management and other supporting utilities. The solution's target market is wholesale carriers, ISPs, MVNOs, Telecoms and OTT providers.